It’s the Sega Mega Drive in amazing HD! At last you can save and load games! The ‘90s may have seen perms, shoulder pads, and neon clothing hanging on for dear life, but electronics were on the move. And, while the return of rock guitars was blowing synths to bits, gaming consoles were doubling their bits, moving from 8 to 16 bits. The console leading the charge: the Sega Mega Drive! Now, even though the ‘90s are long gone and Keanu Reeves is no longer making action blockbusters (oh, wait, never mind), you can have this fantastic console in your living room! How? Well, the brand-new Sega Mega Drive Genesis Flashback makes retro gaming perfectly accessible in the modern age, while bringing a few updates to the table! 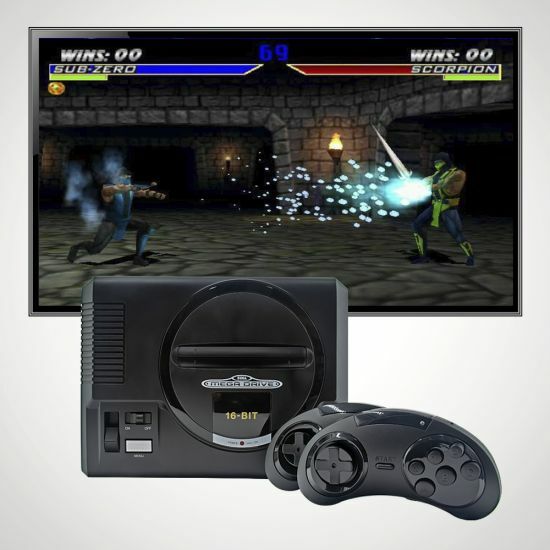 With 85 built-in games, including Sonic (duh) and three Mortal Kombat generations, this console will have you reliving the glory days of 16-bit gaming… but in 720p HD this time! And, thanks to its dual wireless controllers, you won’t have to sit cross-legged on the floor wondering how that back-breaking pose is good for meditation. Finally, you won’t have to dread bedtime. This console lets you do what ‘90s gamers could only dream about (after having stopped their hot-streaks to get some sleep) – it lets you save your game, load saves, and even rewind games! It’s also plug-and-play, so there’s no installation to worry about, and it lets you use any Mega Drive cartridges you have lying around. Even though it’s been a couple of decades, the Mega Drive is still mega. And, thanks to its modern updates, it even mega-er. 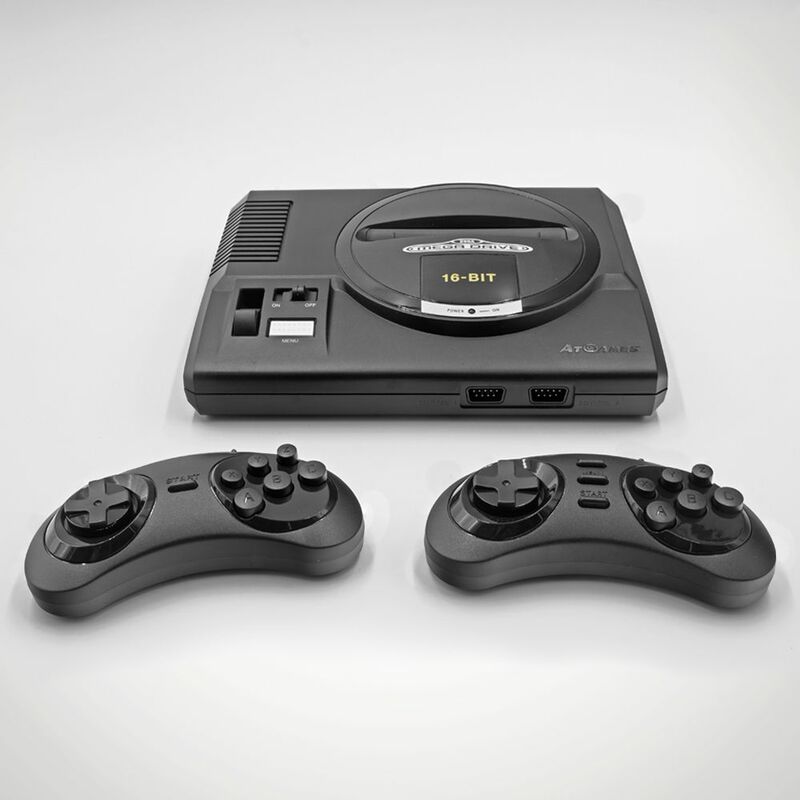 So, to feel the thrill of 16-bit gaming without having to lay your eyes on a single perm or shoulder pad, get your Sega Mega Drive Wireless Gold Edition today! The 85 built-in Sega Games include Sonic the Hedgehog, Mortal Kombat, Phantasy Star, Shining Force, Golden Axe, Alex Kidd in the Enchanted Castle, Alien Strom, Altered Beast, Chakan: The Forever Man, Columns, Comix Zone, ESWAT: City Under Siege, Jewel Master, Kid Chameleon, Shadow Dancer: The Secret of the Shinobi, Sonic 3D Blast: Flickie’s Island, Super Thunder Blade, Sword of Vermilion, Vector Man, and Virtua Fighter 2. See the technical specifications for the complete list.